He’s known for being outspoken, provocative, and shocking. Whether you love him or hate him, Dennis Rodman is one of the most celebrated NBA legends in the game. As a five-time NBA Champion and often called one of the best rebounders of all time, Rodman has truly created a legacy. 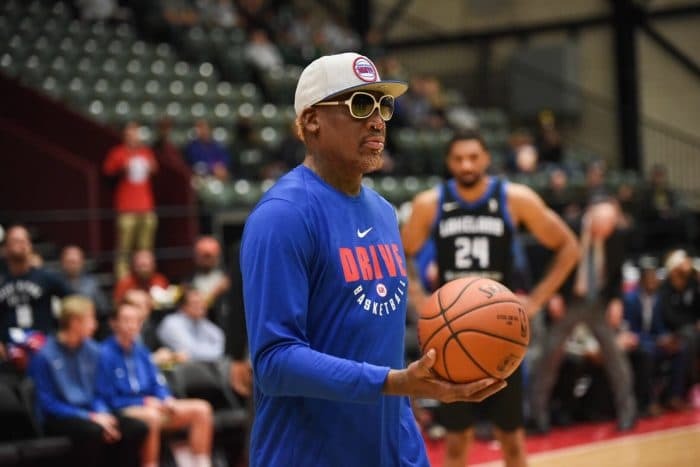 Rodman first talked about wh ere he learned his work ethic: “Oklahoma structured me with the value of working hard.” He was then asked about his career journey with the Detroit Pistons, San Antonio Spurs, and Chicago Bulls. Rodman told stories about each team and city. One of the most notable parts of the story was how he “became a man” in San Antonio and how it changed him as a person. “I became Dennis Rodman, the real Dennis Rodman.” The rest was history. Other topics included basketball during his career and how basketball has changed. He shared the most important rule he lived by while playing in the NBA: “You don’t entertain in sports, you win.” Rodman “played and played and played” and worked hard, and his passion for the game kept him going. The night wasn’t without spectacle. He laughed and told personal, unfiltered stories with members and guests, many that will stay in the room. 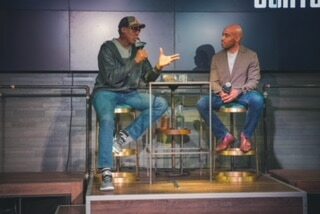 When someone like Dennis Rodman brings such unfiltered energy and story telling to the evening, it becomes an unparalleled event that members and their clients and prospects will never forget. Rodman is everything we think of him as being: the best rebounder the NBA has ever seen, one of the biggest exhibitionists, and an energetic, unique legend.